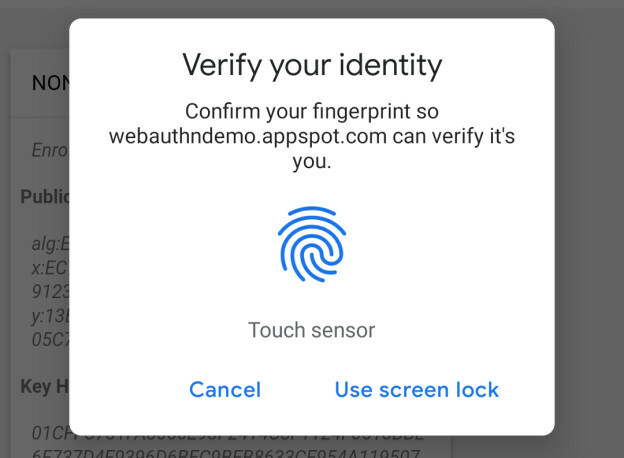 Google Chrome’s latest beta release adds a useful update to this popular browser: support for fingerprint sensors on Android and Mac devices, which will allow developers to use biometric technology as an additional layer of security for web applications. This update will enable chrome scan using existing Android fingerprint sensors and MacBook Pro Touch ID sensors. There are currently no messages about supporting other biometric security (such as the Touch ID of older iOS devices and the Windows Hello fingerprint scanner). Chrome 70 beta also has some other exciting features: for example, Bluetooth support under Windows 10, allowing Chrome to choose to communicate with other nearby Bluetooth devices. Google has also introduced a new experimental shape detection API that allows users to identify faces, barcodes and text in images, as well as scan QR codes. When a dialogue such as a prompt, payment or file chooser pops up, Chrome will automatically exit full-screen mode, so users will have more external resources to participate in the decision when filling out these prompts.